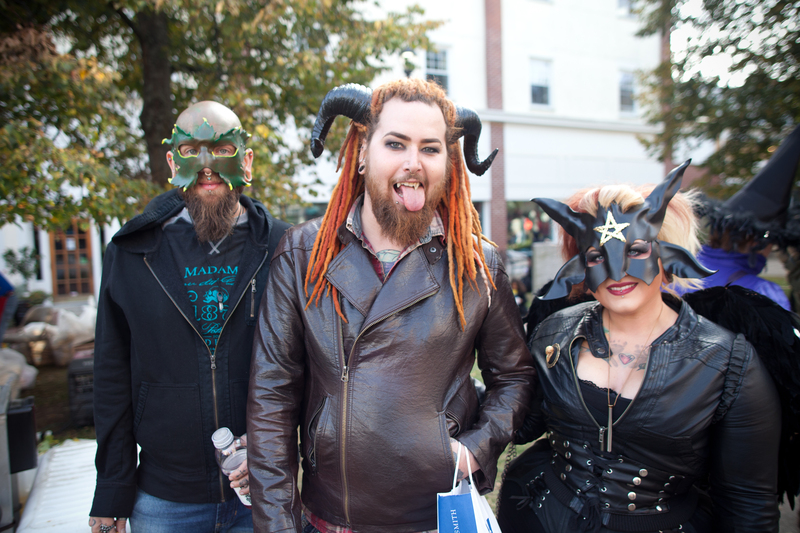 On the final three days of the month of October a group of wild eyed Jesus lovers collided in the city of witches: Salem Massachusetts. With it’s convoluted history of spiritualism, hauntings, and persecutions, Salem has become a focal point for spiritual seekers, pagans, witches, and the supernaturally curious. So naturally Salem is the perfect place for the worlds biggest Halloween party! It all begins with an open air seance from the local witch covens in the Salem commons and then the streets become filled with masked drunk partiers, hedonistic revelers, and the angry bullhorn preachers. This is where you will find us: at the center of the city, in an old victorian methodist church with an organ that reaches tips of the stained glass windows and gothic ceiling rafters. A group of 120 burning souls, unconcerned with the darkness of the world and only captivated by the beauty of Jesus, releasing an unbroken sound of rhythm and praise for 60 hours. In the midst of the darkness a fire was burning! It is from this altar of worship that we mobilize these 120 burning ones to carry the fire of first love into dramatic demonstrations of the fathers love for humanity. We position ourselves in the crowd and invite the spiritual seekers to find what they have always been looking for. We wave signs that offer “free spiritual readings” and “free healing”. We pitch a tent where we interpret dreams and offering healing to the sick. Over the noise of the crowd, and sound of anger from the bullhorns, we look them in the eye and share the mysteries of their heart, Jesus takes aware their pain, He opens their eyes, and He heals their heart. This year our team prayed with and prophesied over one thousand attenders. They witnessed over 200 miracles. They lead dozens to salvation. One girl with hearing loss had her deaf ear open. Another man with 19 pieces of metal in his back and constant pain ran in circles, touched his toes, and for the first time in over 7 years was pain free. Another woman with two metal rods in her back had the metal disappear and touched her toes. Another young lady had her leg grow out over an inch. Another woman whose eyes were crossed from birth had her eyes straighten out completely. Our healing tent had four straight hours of 100% healing rate. FOUR STRAIGHT HOURS. As I stood outside of the tent, person after person came out wiping the tears from their eyes. Every couple minutes there was a shriek of excitement from the healing tent. One group of girls came out of the tent demanding to be filmed telling the story of what just happened because they wanted the world to know that God is real and he loves us! But one story sums it all up for me: One of our ladies was inviting people into our ministry teams on the streets and a young girl comes up to hear with tears in her eyes and says “Do you remember me?” and she responds “no hunny, are you sure you know me?” and the girl says “I came here tonight to find you! Last year you gave me a spiritual reading and my life was changed and I gave my life to Jesus and I came tonight just to find you and thank you for telling me about God’s love for me!”. This is the real story of the Salem Haunted Happenings. Those that have run from God, hurt from religion, exploring the spiritual realm and have made their bed in the pits of hell, have been chased down by His love. Just when they thought they were in a place ruled by darkness they found a great light. They were blindsided by grace. Overwhelmed by His goodness. Transformed by His love. Despite hell’s greatest attempt Jesus made the city of witches a city of peace.